CULVER CITY, Calif. (Nov. 10, 2014) – Inspired by an extraordinary true story, the audience-rousing PRIDE debuts on Blu-ray™, DVD & Digital HD on Dec. 23 from Sony Pictures Home Entertainment. This critically acclaimed comedy follows a London-based group of gay and lesbian activists who come together to help families affected by the UK miners' strike in 1984, and has been described as “a feel-good movie that does more than temporarily lift your spirits - it makes you feel a little better about the world, and about our capacity to set aside differences and clasp hands” (Moira MacDonald,SeattleTimes). Starring in the film is an incredible ensemble cast, including Bill Nighy (Love Actually), Academy Award®nominee Imelda Staunton (Best Actress, Vera Drake, 2004), Paddy Considine (The Bourne Ultimatum), Dominic West (300), Andrew Scott (“Sherlock”), George MacKay (Defiance), Joseph Gilgun (This is England) and Ben Schnetzer (The Book Thief). Bonus features include six all-new deleted and extended scenes, as well as the 15-minute featurette, “PRIDE: The True Story,” offering a glimpse into the historic events through the eyes of the real-life members of “LGSM,” as well as the filmmakers and cast. PRIDE is inspired by an extraordinary true story. It’s the summer of 1984 and much of blue-collar Great Britain is on strike. For one tiny Welsh village, the strike brings unexpected visitors – a group of London-based activists who decide to raise money to support the strikers’ families and want to make their donation in person. In this feel–good, heartwarming comedy, two groups, seemingly from worlds apart, discover that standing together makes for the strongest union of all. 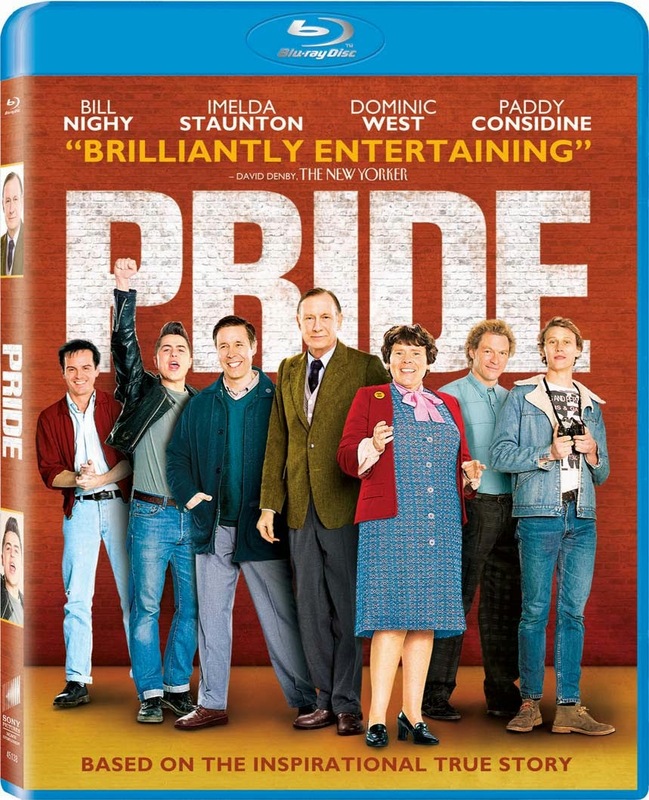 Directed by Matthew Warchus and from the screenplay by Stephen Beresford, PRIDE is produced by David Livingstone, with James Clayton, Christine Langan, and Cameron McCracken serving as executive producers. PRIDE has a run time of 120 minutes and is rated R for language and brief sexual content.